A 911 with classic Porsche character. A truly retro Porsche, the 911 Sport Classic has been developed for three years through Porsche Exclusive, the automaker’s special department that works with customers to create unique automobiles. 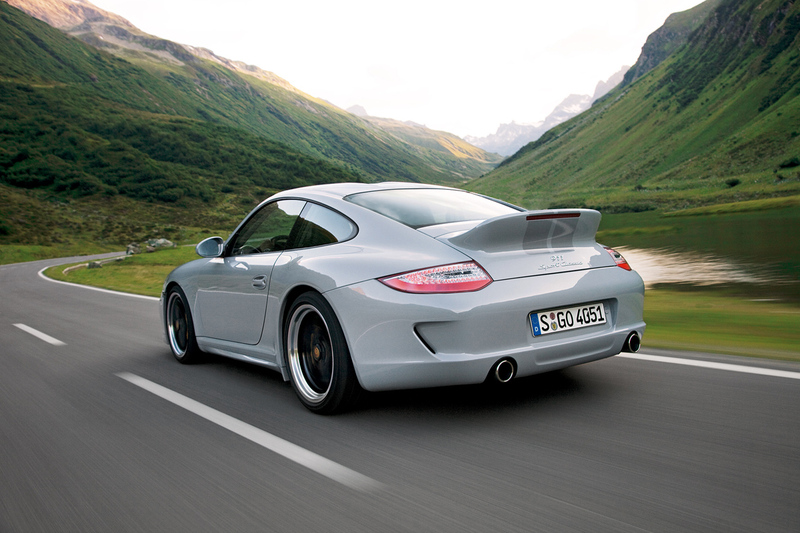 Based on the Carrera S the Sport Classic gets a wider rear track from the Carrera 4S. Two dark grey stripes contrast the Sport Classic Grey paint, and flow from the hood, along the double-dome roof, and to the retro ducktail spoiler. 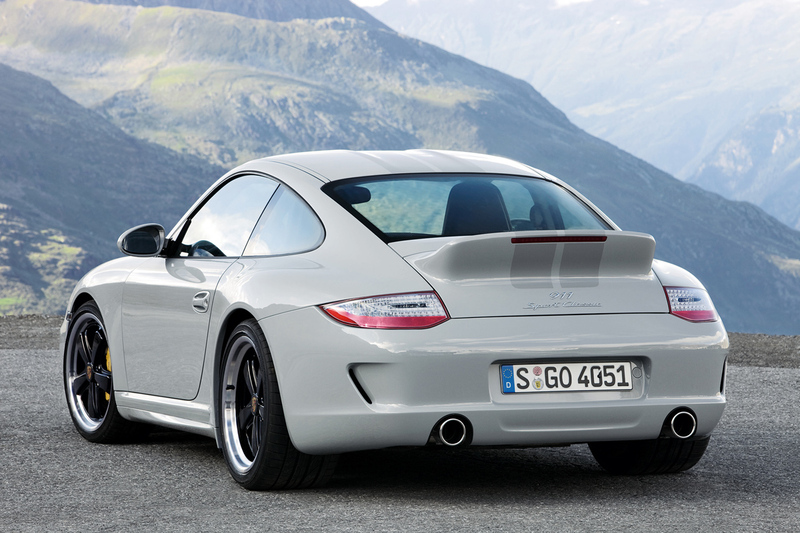 The ducktail spoiler pays homage to a name that is forever imprinted in the minds of all Porsche enthusiasts, the 1973 911 Carrera RS 2.7. Porsche Ceramic Composite Brakes (PCCB), Porsche Active Suspension Management (Sport PASM), and a mechanical locking rear differential are standard on the Sport Classic, lowing the car 10mm over the Carrera S and providing unyielding stopping power. Retro 19-inch black Fuchs five-spoke wheels give the Sport Classic the traditional 911 look. While Porsche didn’t stick an air-cooled flat-six into the engine bay, the 3.8-liter Direct Injection flat-six does not disappoint. A newly developed intake manifold featuring six vacuum-controlled switching flaps bumps power to 408 hp – 23 hp over the Carrera S. Of course, what would a classic 911 be without a manual transmission? 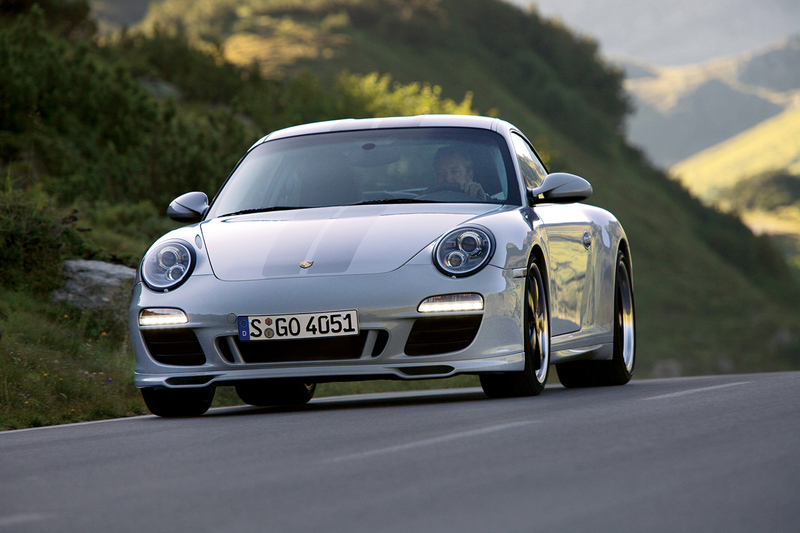 All 911 Sport Classic models will only be available with a six-speed manual transmission. The redesigned interior radiates classic Porsche character with woven leather seat inserts made of leather strips and yarn, and are rounded off with light gray piping and matching woven door inserts. A grey headliner contrasts the Espresso Nature natural leather. Numerous dashboard inserts and custom trim pieces are available. 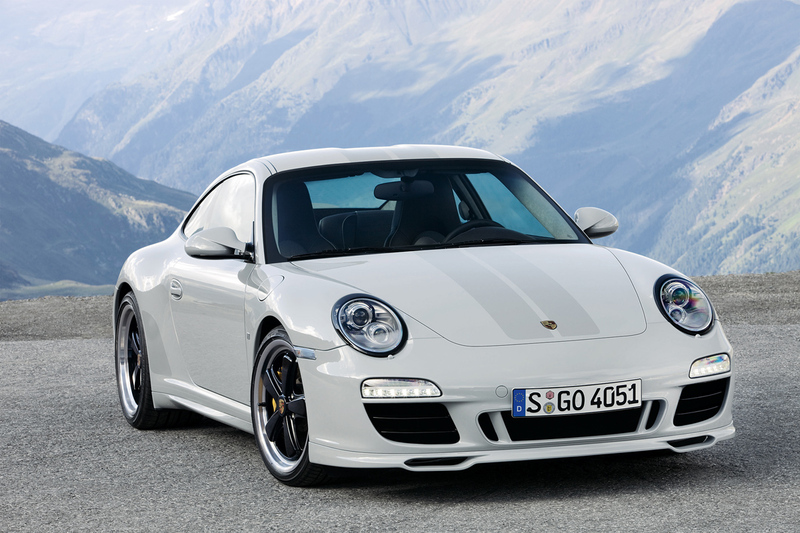 The 2010 Porsche 911 Sport Classic will not be available in North America and production will be limited to 250 examples. Pricing for the Sport Classic will start at €169,300 +/- $243,605.00.